An imaginary seaweed. It is made using the method of felting paper, also called Joomchi. 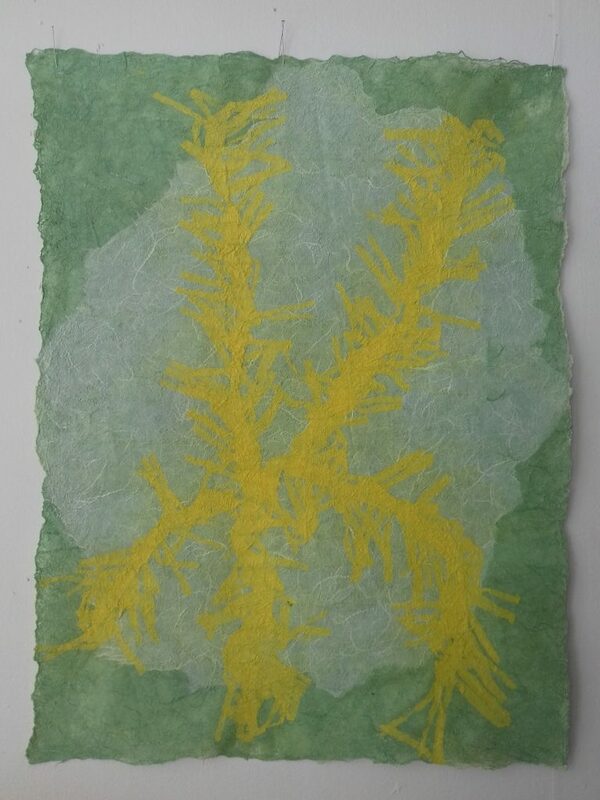 Using just water and agitation to connect the layers of colored paper. 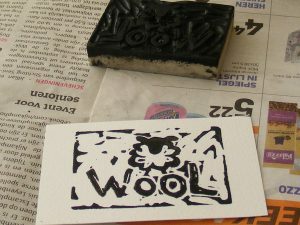 The paper gets a beautiful surface from the felting and is much stronger than before. 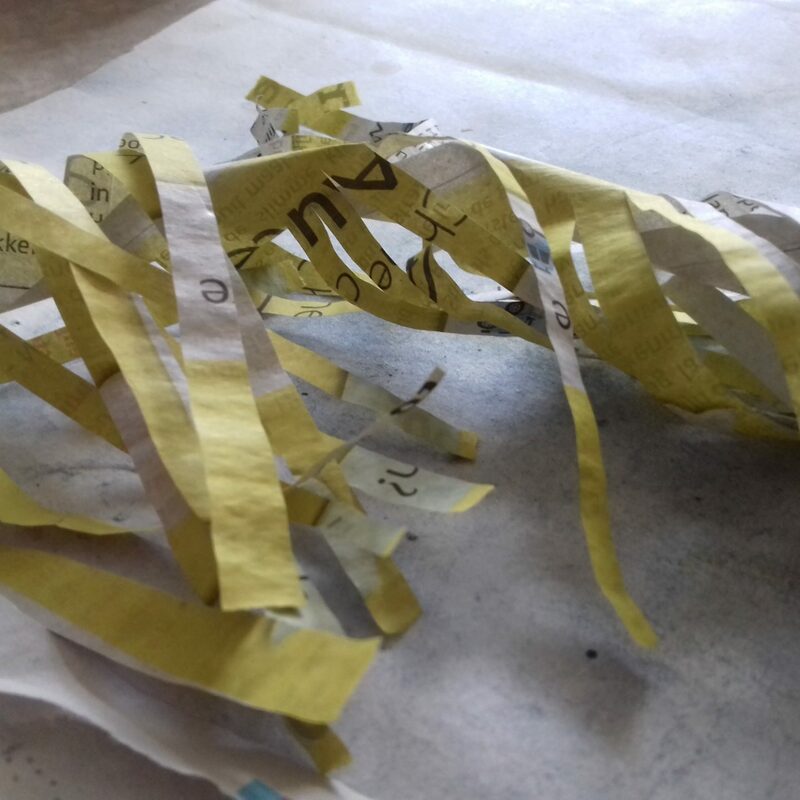 It only works out with a type of papers that has long fibers, so newspaper won´t work. I just used the newspaper in the head picture as a test for my cutting. The paper that I use for Joomchi is soft and thin, almost transparent. Something reminded me of seaweeds with their smooth and dampness. They look more fragile than they actually are. It seemed appropiate to express this with paperfelting. The technique is originated in Korea. When textiles were expensive people made clothing with it. The strong mulberry paper called Hanji, becomes even stronger by kneading it. The korean artist Jiyoung Chung has stretched the possibilities in her art and she has spread it over the world with workshops, expositions and a book, ¨Joomchi and beyond¨.